Apollo, Artemis and Athena of Piraeus are waiting..
Like any city hotel so the Nestorion Hotel hosts guests who visit Athens for cultural reasons first and foremost issue to visit the historic center of the city, the Acropolis, museums, ancient temples .. The city - port of Piraeus also attracts visitors who are interested in culture. 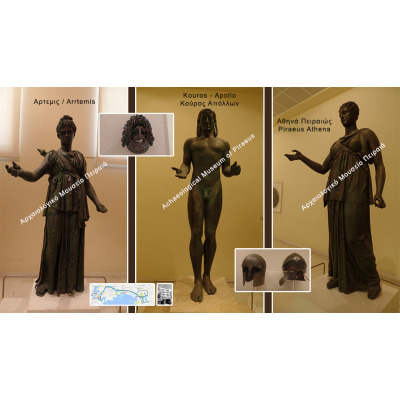 A good opportunity is for tourists to talk with the city past through objects, findings, monuments, statues, gravestones found in the Archaeological Museum of Piraeus. The Museum so good is, as noted by visitors, that the volume and the number of exhibits is not prohibitively high. Visitors may spend 1 hour to see and they are very satisfied. This is a very nice and talkative museum with exhibits inside and outside the building which keep high the interest of the visitor. 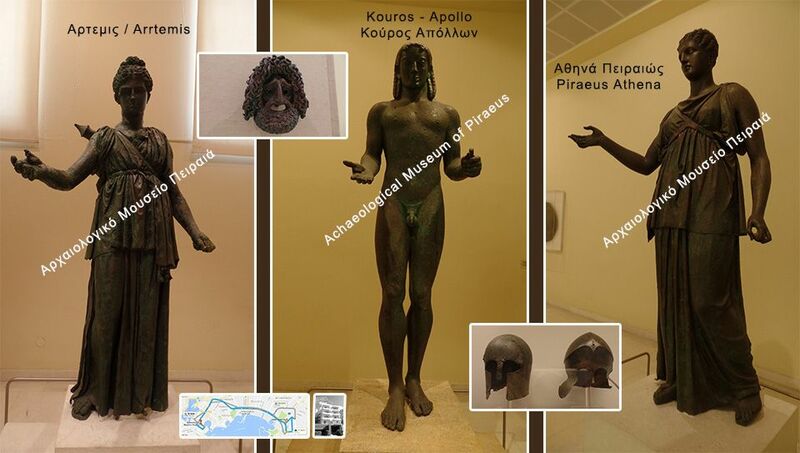 The Archeological Museum of Piraeus contains -objects, mainly sculptures, discovered in Piraeus, and the area of the Attic coast. The exhibits are representative of the history, the acme and the decline of the ancient city, and also of the composition of its population. The following series of images in a photo collage is made for the needs of "human marketing" of our hotel in order to stress the importance of the cultural capital of the town and is kindly offered to us by family Rob Thijssen. We thank sincerely Rob Thijssen, Mieke Thijssen, Lisanne Thijssen and Stephan van den Brink for this.